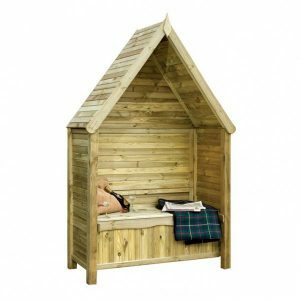 Garden arbours from Sheds to Last provide you with a cool and relaxing abode out there. They not only form a focal point, but they make your outdoors décor stylish and versatile. 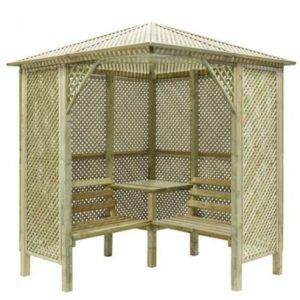 Whether you want to relax under a shade or you want to bask under the slat roofed arbour, the choices are endless. With us, you can turn your bland looking backyard into an elegant space conducive for lounging with family and friends. Garden arbours can be used to make over your garden. 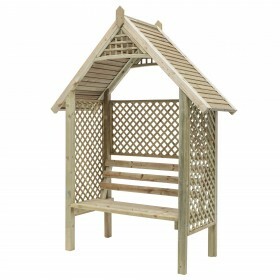 At Sheds to Last, we make sure that every arbour you pick offers great value for money. 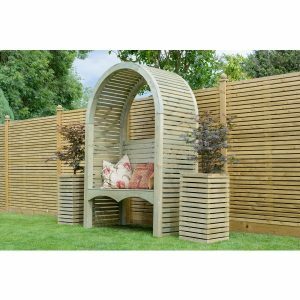 We specialise in the supply of arbours made from pressure treated timber. 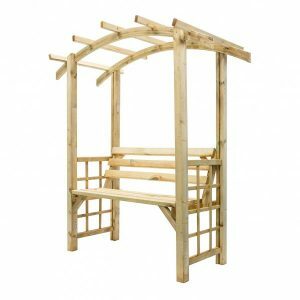 Our lattice sided and backed arbours will support your climbing plants adding to the stunning look. Choose from the apex, pent or arched top arbours. Our products can fit two or more people and you will enjoy the ergonomic benefit when you tuck yourself into one. We understand that individuals have unique needs and tastes. We have arbours that are ventilated while others offer solid defence against the elements. Our trellis sided arbours allow light and air to pass through while other designs offer complete privacy. 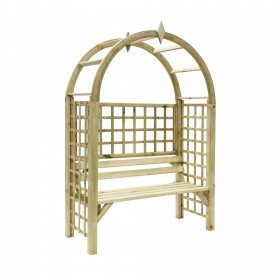 With our extensive range of arbour styles and designs, we will provide you with your dream arbour without delay. If you want customised arbours, we are ready to listen to your requirements.